A Landover Hills female has been charged with multiple crimes after an investigation of a fire at her residence. On December 2, officials from the Prince George’s County Office of the Fire Marshal were conducting a cause and origin investigation at a house fire in the 4800 block of 66th Place in Landover Hills that occurred around 1:00 am. An adult male sustained minor burn injuries during this fire and was treated and released from a Burn Unit. A female was transported from the scene to an area hospital for a medical evaluation. During this investigation Investigators discovered evidence of an unreported fire that occurred the day before on December 1. Arson – 1st Degree - A felony punishable by up to 30 years in prison and $50,000 in fines. Arson – 2nd Degree – A felony punishable by up to 20 years in prison and fines of $30,000. Arson Threat - A person who violates this section is guilty of a misdemeanor and on conviction is subject to imprisonment not exceeding 10 years or a fine not exceeding $10,000 or both. Malicious Burning – 1st Degree - Damage value at more than $1,000, this offense carries a potential 5-year prison sentence and $5,000 fine. Malicious Burning – 2nd Degree - Damage value at less than $1,000, a misdemeanor offense. If convicted, penalties are up to 18 months in jail and $500 in fines. 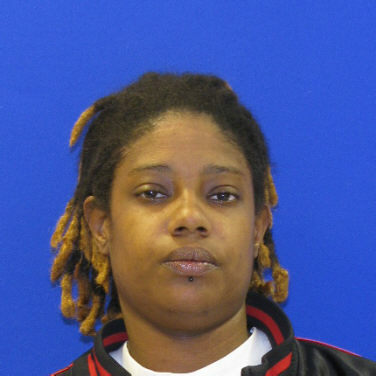 The Office of the Prince George's County Fire Marshal confirmed that April Newell was arrested during the morning of December 31, 2015. She is currently being held on a $500,000 Bond. The fire that occurred on December 2nd at the same house remains under investigation. A image from the scene captured the family Pit Bull standing guard over what appeared to be an unconscious female in a neighbors front yard on the morning of the still under investigation December 2nd fire. The female was arrested for an unreported fire that occurred at the same location on December 1st. The dog was subsequently captured and housed by County Animal Management Division and released to an out-of-county relative the next day. April Newell lays in the front yard of a neighbor protected by her Pit Bull during the December 2 fire which remains undetermined and under investigation. April Newell, 34 years of age, of Landover Hills charged with multiple crimes after an arson fire at her residence on December 1, 2015.